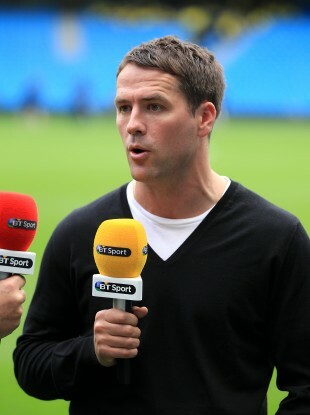 Since retiring from playing, Michael Owen has become a pundit for BT Sport. However, while acknowledging the quality of the forward, Owen believes Arsenal – who led the Premier League for much of last term before falling away to finish fourth – will find it difficult to secure UEFA Champions League qualification due to the strength of their rivals. Owen told talkSPORT: “The signing of Sanchez has made everyone sit up and take note. I really do rate him, he’s a top player and it’s a big step in the right direction. Brendan Rodgers’ Liverpool were runners-up to Manchester CIty last season, and Owen has warned his former side that they must improve if they wish to claim a first league title since 1990. “If Liverpool are going to progress again, they probably need to get better again,” the 34-year-old told the club’s official website. “Manchester City won the league, Chelsea have strengthened in a big way. Liverpool have seen star man Luis Suarez depart for Barcelona, while England internationals Adam Lallana and Rickie Lambert have been among the Merseyside outfit’s close-season recruits to date. “They are two good buys,” added Owen. “They were fantastic last year for Southampton and are proven in the Premier League. Email “Michael Owen says Arsenal won't finish in the Premier League top 4 this season”. Feedback on “Michael Owen says Arsenal won't finish in the Premier League top 4 this season”.